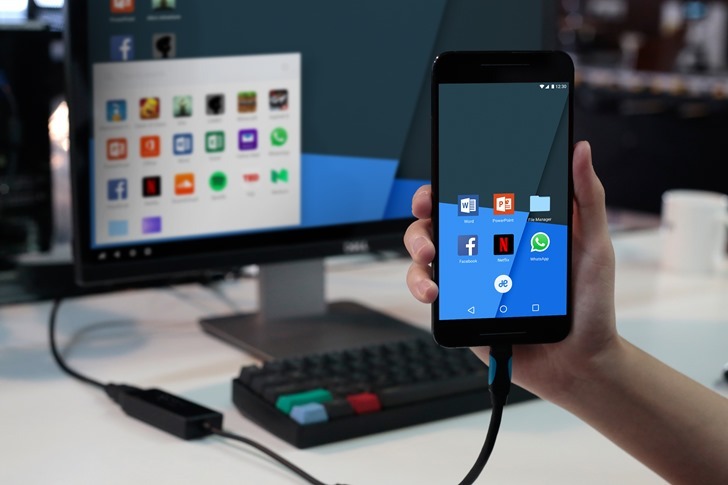 Jide's Remix OS is all about offering Android apps with a desktop interface, with a bonus of relatively cheap mobile hardware. And while the company has been expanding its reach into more retail products, the latest project it's showing off is probably its most ambitious yet. 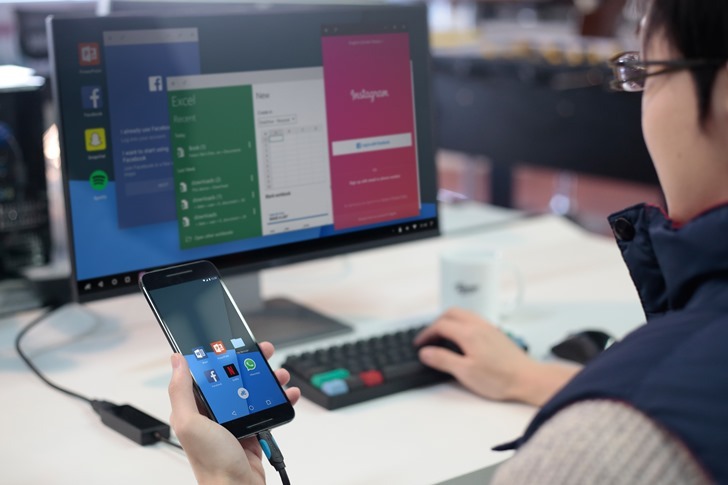 The "Singularity" system allows users to plug their phone into a monitor, connect a mouse and keyboard, and run the familiar Remix desktop interface while the phone is still operating in its standard Android mode. 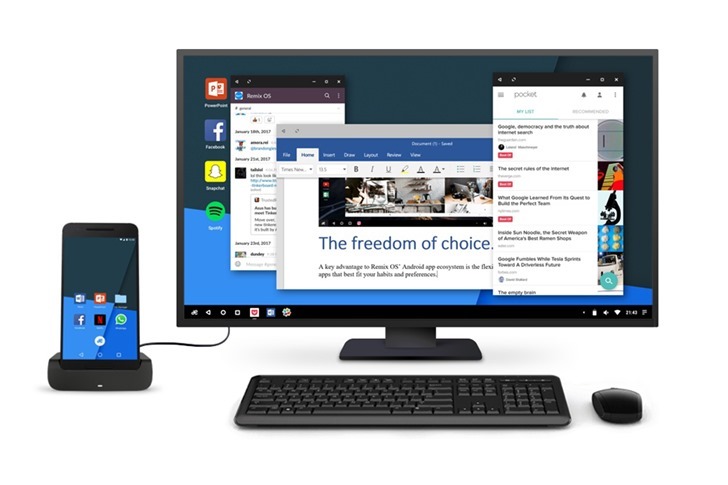 If all this sounds familiar, it should: Microsoft has been marketing something similar with Windows Continuum, Canonical briefly tried out the form factor with Ubuntu Phone, and various Android manufacturers have tried a few different flavors of the same idea - see the Motorola Atrix and its laptop dock. But Remix might have at least a ghost of a chance of getting this sort of thing to the mainstream tech audience, since it's loading all this desktop Special Sauce into an Android ROM that can be loaded onto existing phone hardware (so long as that hardware can handle video-out and some fairly high memory and processor load). Jide says that they're currently "targeting" the Nexus 5X and 6P for ROMs, and that the phone experience will be "as close to stock Android as possible." Android Police's resident mech-head Ryan says that's a Poker 3 mechanical keyboard... which also means it's kind of useless, since it's unplugged and has no wireless capability. GOTCHA, Jide marketing. At the moment there's no release window for Singularity, and technical data is thin on the ground, so it seems likely that this project could fall into relative obscurity like so many similar implementations. 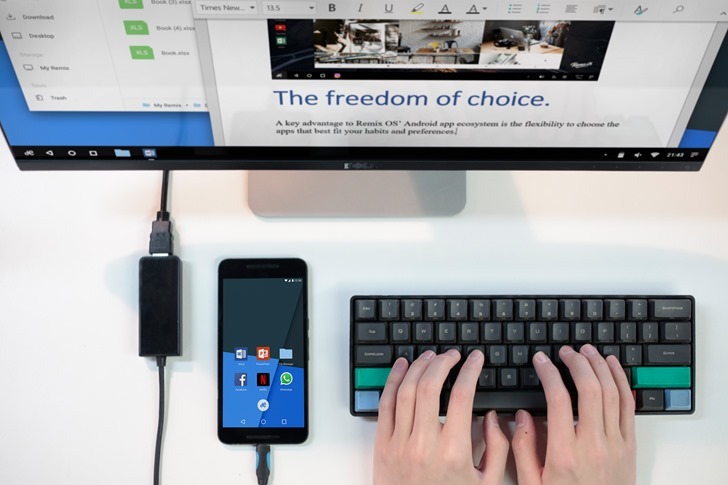 But we can dream: Jide has carved out a niche for itself in the unlikely Android desktop market, so if anyone can make it happen, it's them.